Rust is a serious problem we all encounter due to naturally occurring factors that constantly affect our tools, facilities and even buildings. Noticing any of the signs of rust on any tool or facility then convinces us that they have already exceeded their durability period and must be done away with. This, however, is not that easy for our commercial industries as we cannot afford to ditch our equipment or facilities immediately rust is noticed simply. The good news now, is that there is a solution to these or corrosion problems here at Industrial Rust Coating, Australia. More conveniently, this solution, when compared with the financial losses accumulated from replacement or repairs of rusting objects is significantly minimally priced. These coatings protect metal constituents from dilapidation due to humidity, temperature, contaminants in the air, oxidation or exposure to foreign chemicals. Rust resistant coating is a means of added safety for the metal surfaces. It equally serves as an obstruction that restrains the contact between foreign compounds or corrosive materials and the metal surface. Also, most of the coatings we make use of exhibit an additional benefit of non-stick uses and abrasion resistance. 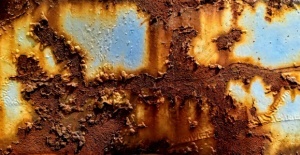 Industrial Rust Coating, Australia provides magnificent rust coating services. Why Industrial Rust Coating, Australia? Metals, in most industries and homes, are used in harsh conditions and applications. This obviously shortens the life-span of the metal. Rust coatings, however, ensure that metal parts cover the longest possible durability period or lifespan. 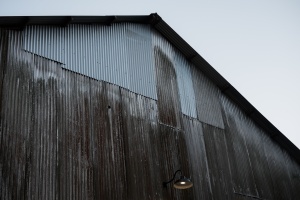 Regardless of if the components have been used in harsh petrochemicals, off-shore, residential or industrial environments, Industrial Rust Coating, Australia provides metal coatings that provide and enhance protection from rust through humidity, salt spray, chemicals, and so on. Rust resistant coatings for metal components differ from each other depending on the kind of metal used and type of rust and here are a few coatings out of our wide range of available rust coatings and their descriptions. This coating has critical application in aircraft engines and in a lot of high-temperature and pressure applications. It is most effective in applications that require low friction. It is generally known for its use in a few aerosol lubricant sprays. It has a particularly low coefficient of friction which means it can serve as a means to inhibit rust. It also helps in abrasion resistance. These are characterised by their self-priming and high gloss features. They are most effective in applications that require chemical resistant rust coating. Also, possessing a very good abrasion resistance. Rust is definitely an enemy we must beware of as it can cost a whole lot of money and effort if not paid the right amount of attention. These few coatings have significantly grazed through almost all the problems of metal-using industries. Industrial rust coating, Australia offers to help treat and protect your machines, tools or materials from rust. Do not hesitate to contact us for our professional services. We hope to hear from you soon.